Summer made a beautiful rainbow pattern during maths this week - check it out! In Term 2 the juniors carried out statistical investigations on favourite ice cream flavours, fruit and toys and we found out that most common eye colour was brown. ​We learnt to display our information using pictographs and tally charts. 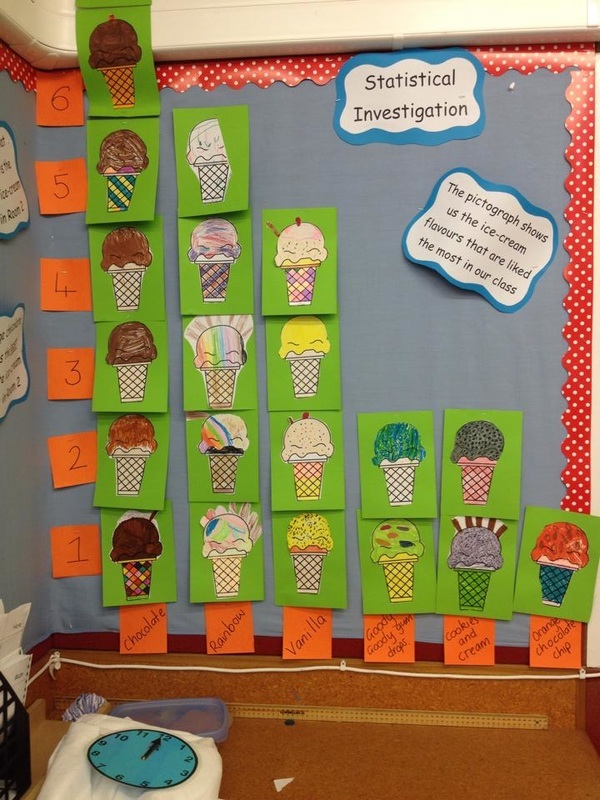 The best part was getting to eat the two most popular ice-cream flavours according to our pictograph! You can help the cute caterpillar grow! Collect the numbers in sequence and watch it get bigger. The whale is stuck in the lake and she needs to got to the sea. Practise solving addition problems to 10 to help save the whale. Practise counting forwards and backwards, in 1s, 2s, 5s, 10s..... use the different colours to see if you can spot the patterns! Count the number of fish and click on the correct number at the bottom.